The vision string quartet are a renegade faction in a centuries-old genre of giants like Haydn and Mozart. 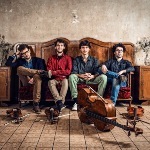 vision string quartet follow in the footsteps of Kronos Quartet and other groups whose musical experiments infuse string quartet repertoire with much-needed breadth, richness and humour. This means performances are as likely to feature improvisatory breakdowns as familiar, well-trod chamber music. 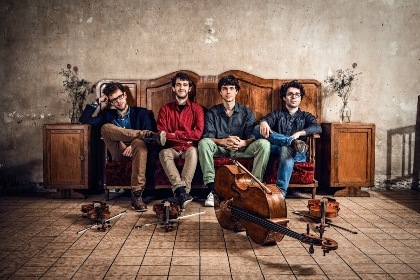 Although its members are young, vision string quartet have performed at music festivals, sound installations and premiere European concert halls, and have recorded for radio as well. vision string quartet were winners of the 2016 Mendelssohn Prize in the quartet category, an award given annually to outstanding German university and college students. If their short history is an indication, the vision string quartet portend big changes in the classical world in the years to come.